Don’t want to let all that Halloween candy go to waste?! Check out these fun ways to put it to use. Today is the day my boys’ have been waiting for for over a month! They are so excited to dress up and go trick or treating; even though we had a Halloween party last week and they got to go trunk or treating twice already. I’m just as excited as they are to see them in their costumes and to get to spend time with family. What I’m not so thrilled about is all the extra candy sitting around. I know myself and if there are 3 Musketeers or Skittles lying in a bowl I’m going to eat them. I also don’t like letting good candy go to waste. 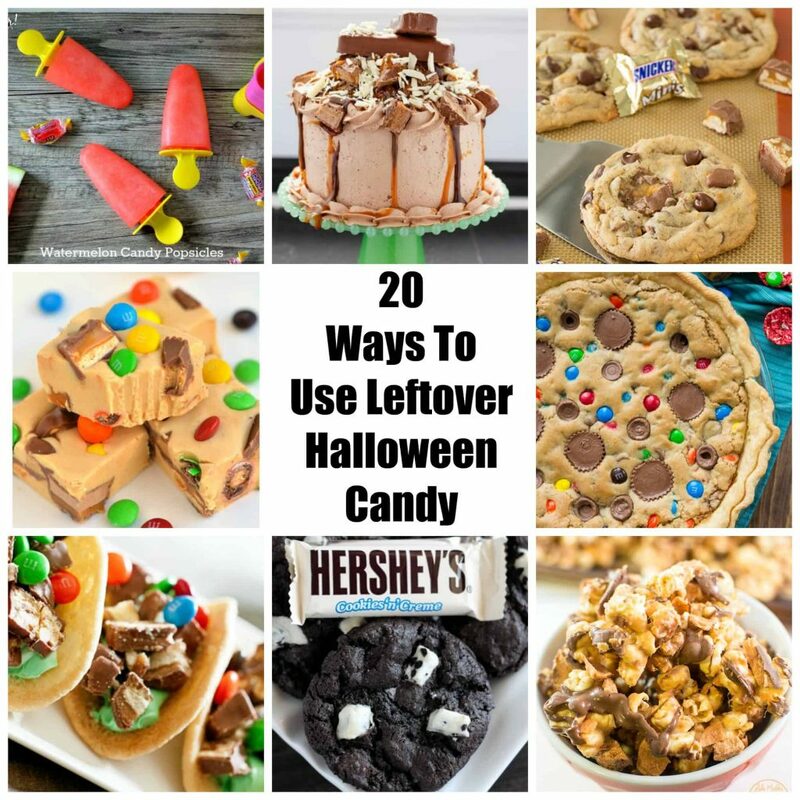 So I’ve compiled 20 ideas for all the leftover candy we are sure to have. Check them out below.